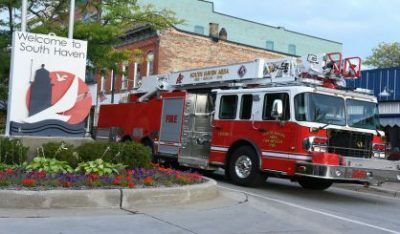 If you happen to be in downtown South Haven this Sunday morning, you will see many fire trucks, hoses, and firefighters. There’s not a fire, nor a movie being filmed. It is a large scale fire training drill. South Haven Emergency Services Chief Ron Wise told WSJM News what you will see. That affects Williams Street from Center to Phoenix Street, and Center Street from Phoenix to Williams Street. Quaker Street will also be blocked from Center to Williams Street. Several area fire departments will be participating in the drill from starting at seven Sunday morning and Chief Wise says the public is welcomed to watch.